data transmission between terminal and PC can be easily done within several seconds. · Color TFT screen with GUI Interface for ease of use. · 1 touch a-second user recognition. · Stores 3000 templates and 100,000 transactions. · Reads Fingerprint and PINs. · Optional integrated ID/IC card reader. 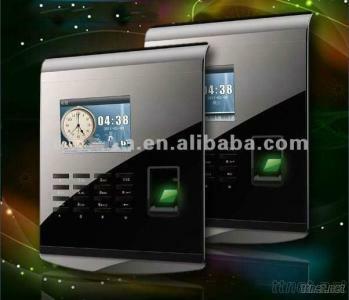 · Optional Functions: ID/IC card ,9 digit user ID, GPRS, built-in battery.